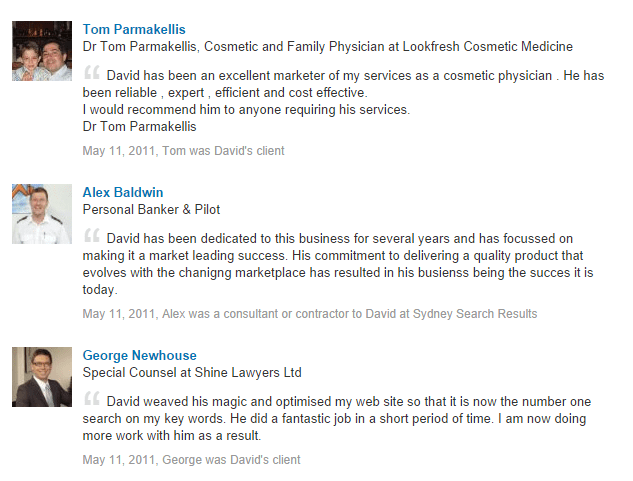 You may visit http://au.linkedin.com/in/sydneysearchresultspty which is my Linkedin Profile of Testimonials from Real Business Owners & CEOs. Feel free to add me as a contact. 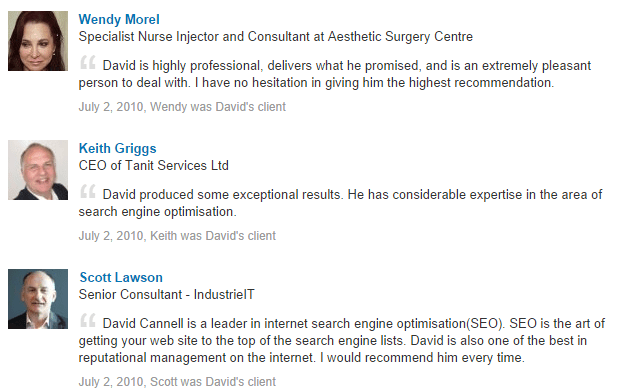 Statistics show that over 66% of SEO & Internet Marketers Testimonials are simply just made up or fabricated. 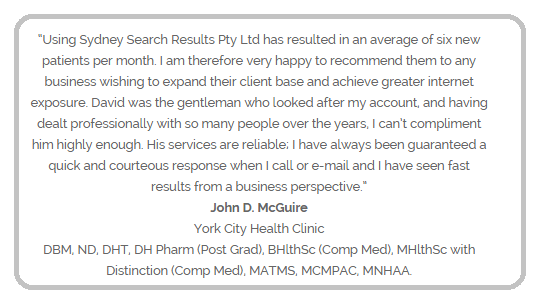 Here is what just a few of our many satisfied business owners are saying about my work. 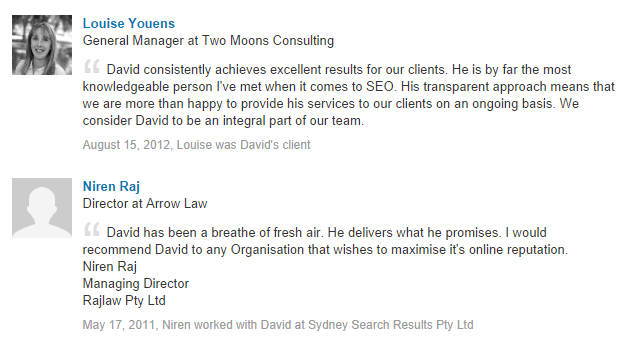 Give us a call and find out why our clients think we are the best SEO company in Sydney.